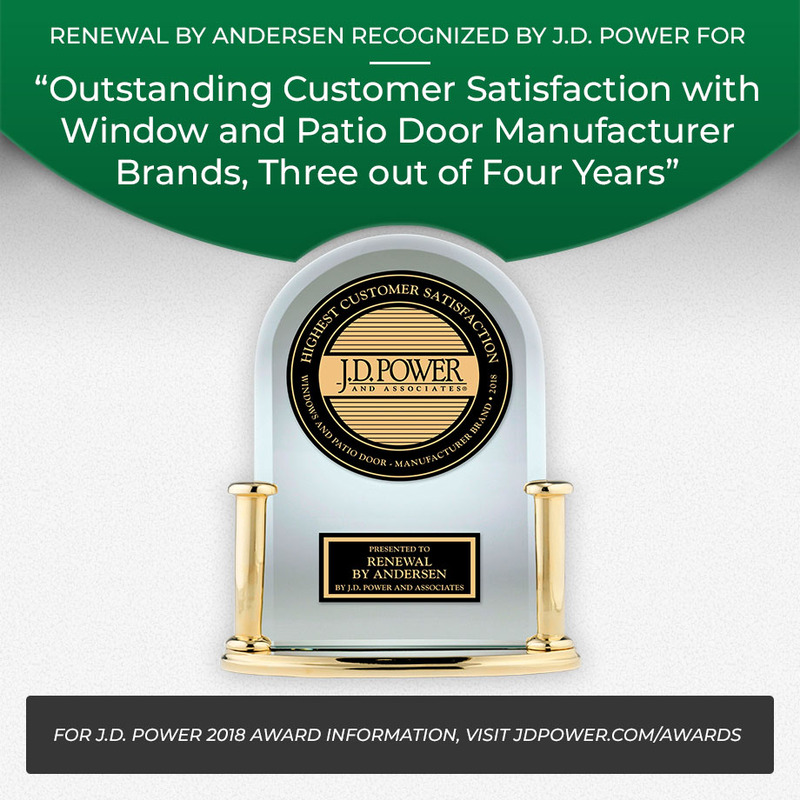 For quality windows in Knoxville and the surrounding areas, turn to Renewal by Andersen® of Knoxville, your exclusive local Renewal by Andersen representative. We offer a wide selection of durable, energy efficient replacement windows and doors, tailoring each project to the individual needs of the homeowner. Renewal by Andersen has replaced more than two million windows. You can count on us to do the job right with a respectful approach and professionalism you’d expect from an industry leader. When you turn to us for replacement windows or doors in Knoxville or any of the surrounding cities and towns, our experienced design consultants will work closely with you to ensure that you receive precisely the project that you envisioned. Beginning with a free, in-home consultation, we’ll walk you through every step of our window and door replacement process. This open communication eliminates errors and helps us to finish every project on time and on budget. As an exclusive Renewal by Andersen representative, we are able to offer their full selection of both traditional and specialty replacement windows. We also offer a selection of Andersen patio doors. We understand that each homeowner has a unique sense of style and a unique set of needs, and that is why we provide so many high quality options. Renewal by Andersen offers one of the strongest window and door replacement limited warranties you will ever find. * These warranties only apply when you choose window or door replacement from a certified representative like Renewal by Andersen of Knoxville. Your windows and doors will be covered when you work with us. To learn more about our outstanding products and services, browse through the rest of our website. Or give us a call to schedule your free, no obligation consultation on new doors or replacement windows in Knoxville. *See the Renewal by Andersen® 20/10/10 limited warranty for details. We Get It EXACTLY Right.